What do you do when you love something? You do it more! Tim and I love working together as a team, and we really enjoy hosting weddings. So when the opportunity arose for us to purchase the property just to the south of us (that used to be part of the estate originally), we jumped at the chance. 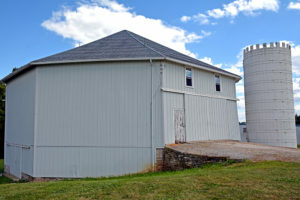 The property has a 4,300 sq ft Octagon Barn from around 1900. Swoon! A wedding venue dream come true! Our vision for Orrmont Farm is breathtaking, and we hope you all stay tuned in over the next couple of years as all of our visions come to life! We are keeping the barn as original as local code will allow us to, but safety of our guests is always first of course. One of our goals when we complete a project around the estate is to make it look like it could have been built over a hundred years ago-if they were going to do what we are doing. That often means our projects get pretty creative on how we get the aesthetics of yesteryear and still adhere to current code. We have lots of projects around the farm that we are busting with excitement to start! You’re going to love them! Love the new barn! 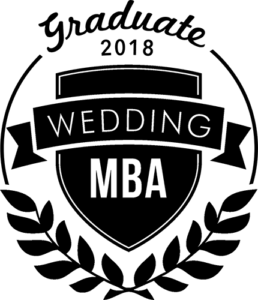 Hopefully I will be blessed to bartend a wedding or two ! My your family have a blessed holiday ! We hope to see you out as well Debbie! Merry Christmas to you and yours! Love ya!